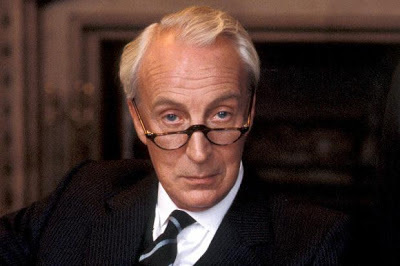 The original BBC House of Cards has an outsized impact on my political imagination, and indeed the political sensibility of the entire country. Based on Michael Dobbs' novel, and adapted for the screen by Andrew Davies, it seemed to articulate everything that was dangerously glamorous and decadent about the Thatcher years: the rapacious greed, deep intelligence and sense of entitlement. Many of the phrases used by its antihero, the Conservative Chief Whip Frances Urquhart, have become part of our everyday political discourse. And with the series being broadcast during the traumatic matricide that ignominiously ended The Iron Lady's reign, it felt like we were being taken right into the soiled heart of the Tory Party in its violent death-throws. For me, and many others, House of Cards, frames the way in which we think of that era, in just the same way as Shakespeare's Richard III (newly disinterred) clouds our judgement of the real man. Rewatching the series, available on Netflix, in the light of the US remake, one is reminded of its vitality, economy and wit. What the US version lacked was its biting sense of humour, and sheer decadence. There is a sense of grandeur and villainy and real menace that the modern version doesn't even try to approach, so that it's pivotal act of violence feels unearned. By contrast, Francis Urquhart always feels like a glamorous villain, and always feels dangerous. And as the series moves towards its dramatic, definitive final confrontation, everything feels frighteningly credible. And all that, in under four hours. By contrast, the Netflix series' attenuated, elongated, ultimately frustrating narrative feels wearyingly bloated. So I heartily encourage you to seek out the original series and enjoy what remains the apotheosis of political intrigue. It has dated remarkably well. The basic means by which British politics is operated are still the same, and the Tory party - stuffed full of landed aristocrats - still the bastion of the elite. One can only hope that a little of the prejudice toward Hesiltonian new money (he buys his own furniture, rather than inheriting!) and the anti-semitism has softened, but even there, one wouldn't want to speculate.